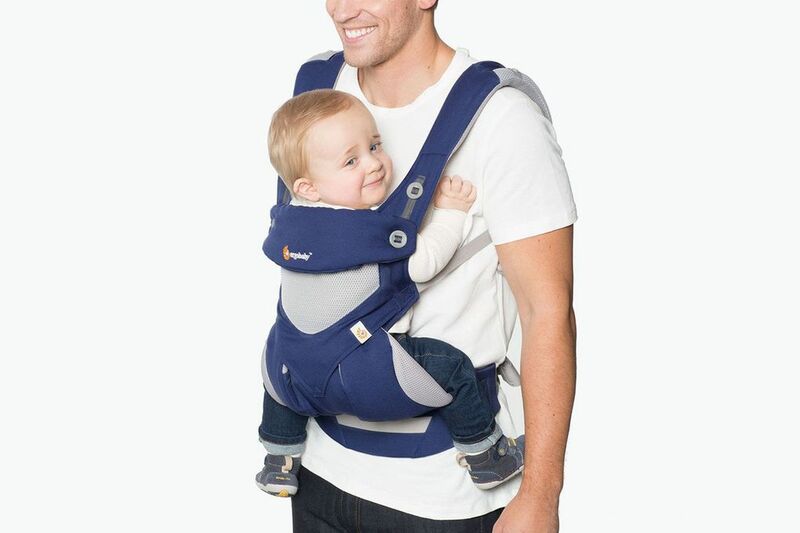 If you want your baby to cry less, try a baby carrier. A much-cited study published in the journal Pediatrics found that baby-wearing for three hours a day reduced infant crying significantly — 43 percent overall and 51 percent at night. A more profound reason to wear a baby, though, might be the bond that it promotes between caregiver and child. There are many types to choose from — wraps, slings, mei-tais, soft-structured carriers or frame backpacks — and even variety within the same brand, so go to a store to try one on. Check whether it fits your body type, whether the materials match your climate and whether it’s easy for you to get on. Ensure, too, that any carrier has been third-party tested to conform with mandatory industry standards set forth by the Consumer Product Safety Commission. For a lot of parents, baby-wearing is so comforting for both parties that there’s some nostalgia once those days pass. Recently Lewis, author of the book “Feed the Baby Hummus: Pediatrician-Backed Secrets from Cultures Around the World,” has noticed many of the moms at her practice in Fort Worth, Texas, using ring slings such as the Sakura Bloom Ring Sling ($88–$198 at sakurabloom.com). Like many carriers, it’s important to learn proper use of a ring sling to ensure that the baby is safely secured, Lewis says. After road-testing more than 20 carriers for her job as chief technologist and director of engineering for Good Housekeeping — and for her job as a mother — Rachel Rothman has a number of brands she recommends. When her first child was a newborn, she says, she loved the Solly Baby Wrap ($65–$75 at sollybaby.com), “though it took several video tutorials to nail it,” she says. It stretches to fit different body types and can be worn in different ways depending on the baby’s size. Morrison, who lives in Toronto, says she was “a big fan of carriers,” adding that “they free up your hands and both my kids loved the closeness.” She recommends the new Ergobaby Omni 360 Baby Carrier ($180 at ergobaby.com). It doesn’t require a separate infant insert, so you can use it from birth to toddler. 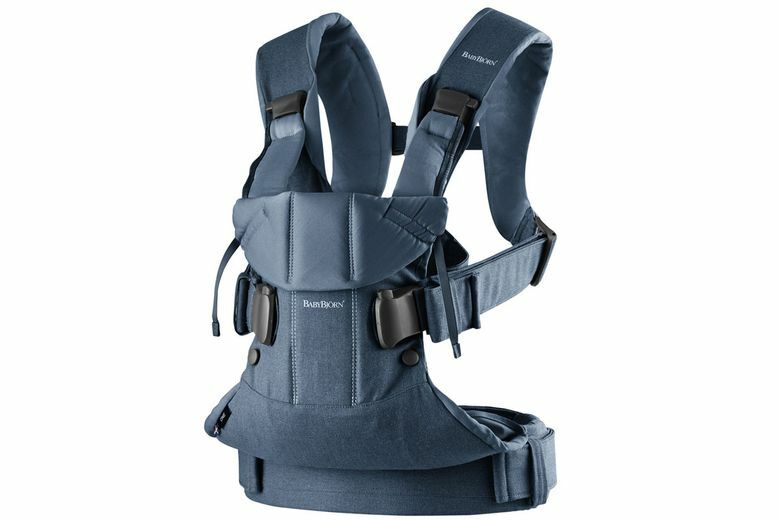 Jessica Hartshorn, the entertainment editor for Parents magazine, used the BabyBjorn Baby Carrier One ($130–$220 at amazon.com) with her kids. More money gets more structure in a carrier, as well as more bells and whistles, but Hartshorn advocates not buying the most expensive item every time you purchase a baby product. “Look at your budget and be realistic, and don’t feel bad about not being able to afford the best in every category,” she says. Sometimes, too, deals can be had for carriers on sites such as Craigslist and OfferUp, or from group baby-gear sales in your area. Joanna Goddard, founder of the lifestyle site A Cup of Jo, was overwhelmed by the options when choosing among baby carriers. She decided she needed to focus on three priorities — “for the carrier to be safe, comfortable and easy to put on,” she says. 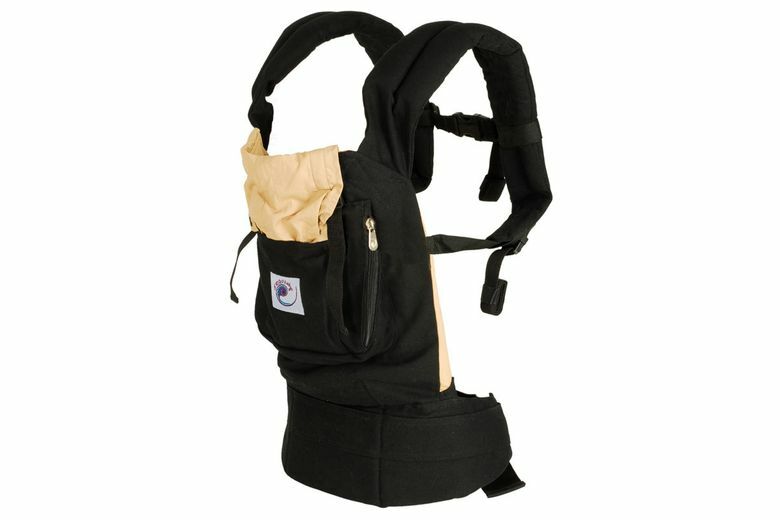 Ergobaby’s Original Baby Carrier ($120 at ergobaby.com) met her criteria. “Padded straps go over both shoulders,” she says, “and it sits on the hips, so the weight is distributed ergonomically.” The “Ergo,” as it’s nicknamed, is machine washable, too, for cleaning up sticky kid moments.